This Emotional Loving...Adoring... 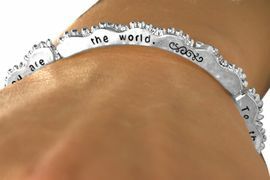 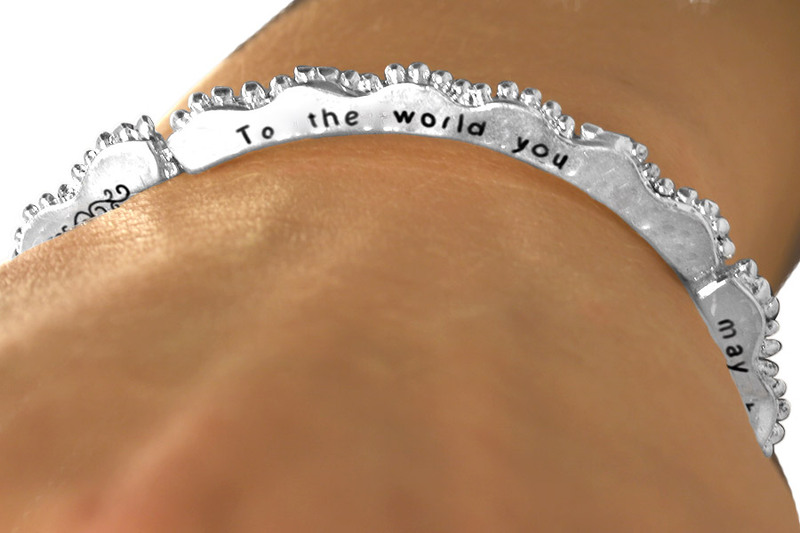 Statement Is On A Silver Tone "Wave" Tile Stackable Stretch Bracelet And Is Inscribed With The Phrase, "To The World You May Be Someone, But To Me You Are The World." Phrase Is Printed On Both Sides, The Top And Bottom Of The Bracelet.